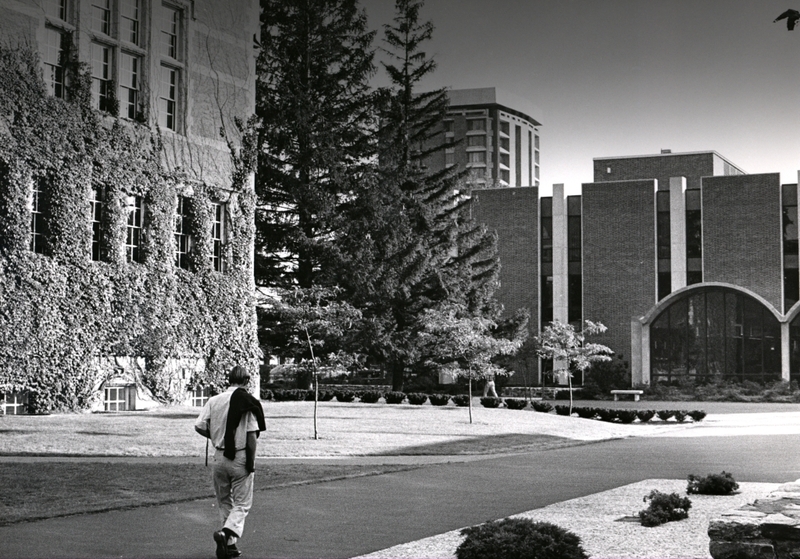 Southwest view of the campus with a student walking on a pathway. Buildings (l. to r.) Hubbard Hall, Hawthorne-Longfellow Library. Coles Tower can be seen in the background.